But, like, how is it the first day of school? No. Seriously. Didn’t summer just start?! I mean time is not being very fair to this mama heart of mine! A second grader?! How is she in second grade? It seems like she just started preschool and here she is entering her second grade year of school. I am so proud of the girl she has become and the one she is striving to be. She has a heart of gold and a joyful spirit that no one can match. She finds beauty in the small things and reminds us all to do the same. Her excitement for life fills our family with so much wonder and happiness. She is life. I love watching her grow. Stop it! 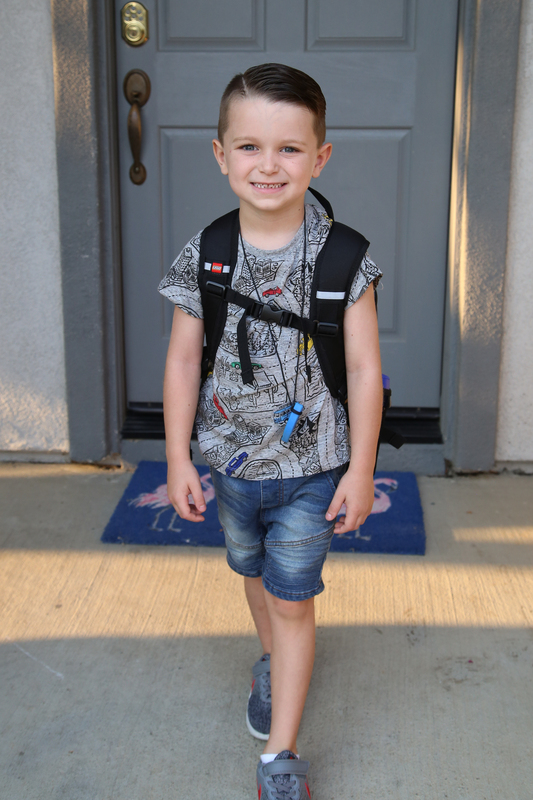 How is he in kindergarten?!?! This is such a big year! For him and me. We are hardly ever separated. I mean, how will I survive without his constant snuggles? My barnacle baby who is always attached to me or within arms reach, is off to big kid school. While I am so happy for his bravery my heart breaks, because everything is changing. I can’t keep up with the emotions. It’s too much. Subject : What is that? I’m not quite sure why time goes so fast once you have kids. Slow down time! Keep them little! I already miss today, and it isn’t even over.